Are you thinking about how to take advantage of the eBay marketplace and wondering how to open an eBay store? Setting up an eBay store is a relatively simple and potentially very profitable venture. It’s important to remember that sellers can begin selling their products online via an eBay subscription plan, without opening an eBay store. 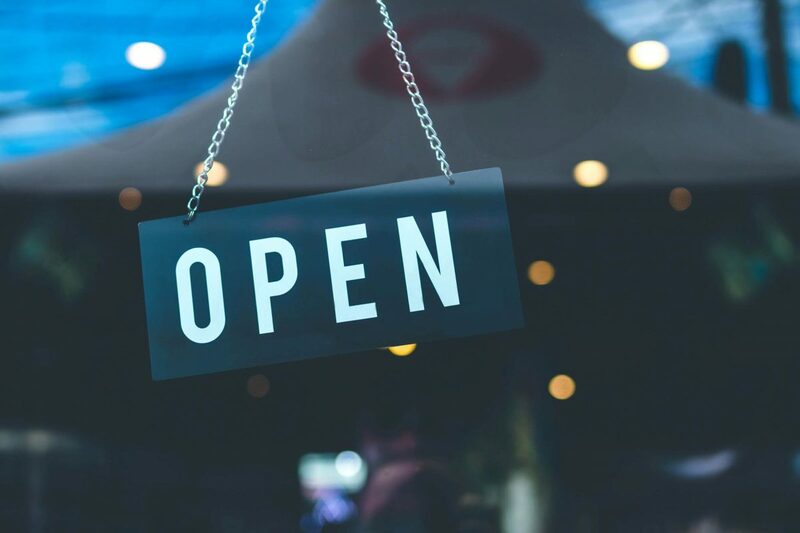 Therefore, it’s important that you evaluate your business needs and consider associated fees to make sure opening a store is the best option for where your business currently stands. For many eBay sellers, opening an eBay store is simply a natural progression of their already established online presence. In fact, 91% of eBay’s top sellers have an eBay store. It is crucial that sellers consider both cost and brand when considering whether or not to open an eBay store. It may be better for sellers at a certain level to proceed with an eBay subscription plan rather than opening an eBay store. It is imperative that sellers carefully consider eBay fees to fully understand the pros and cons of each option. Branding will be a central and important aspect to your eBay store as it sets the tone for your business and creates an aesthetic that carries over into the customer experience and customer engagement. Maintaining a strong brand identity is crucial to any successful eBay store, and sellers need to carefully consider the amount of time and resources that it will take to establish and maintain it. As mentioned, there are many cost aspects to branding that should be kept in mind when considering how to start an eBay store. While branding, customer service, reviews, and pricing are all well and good, sometimes you just need to know the technical side. Opening a store is designed to be relatively straightforward and anyone with an eBay account should be able to successfully complete the task without the need for outside assistance. Go to Account in My eBay. Make sure you have a payment method on file with eBay. Find the store type you’d like to subscribe to and choose Select and review. There are five kinds of eBay stores. Select the subscription term (yearly or monthly) and enter a name for your Store. Select Submit order to purchase the Store subscription. Choose a name for your store and upload your products listings. Design the store as you please. You can set up your store quickly with ‘Quick Shop Setup’ as they have many tools and templates that can help you develop your brand. Preview your store before you release it to the public. Luckily, the costs associated with running an eBay store won’t be too shocking for many existing sellers on subscription plans. eBay stores are available through monthly subscriptions, and the associated fees and costs depend on which subscription plan you choose. Otherwise, the eBay fee structure remains the same as for non-store owners. Don’t forget, there are two steadfast charges that always apply: insertion and final value. Fees Can Vary: The associated fees can vary based on which category and how many categories in which the seller chooses to list any given item. Check category fees or limitations to accurately predict revenue. Zero Fee Listings: Sellers without eBay stores receive 50 zero insertion fee listings. If you have an eBay store, you will receive more zero insertion fee listings. If you are a private seller, you only receive these zero insertion fees when you list in the country in which you are registered. So, here’s a point for opening an eBay store! Non-Refundable Fees: Insertion fees are non-refundable, meaning that if your item doesn’t sell, you still have to pay eBay the insertion fee amount. There’s nothing you can do about it, so you should consider it when pricing products. Duplicate Listings and Multiple Items: Duplicate listings are subject to fees for both items, while multiple listings with item variations only require one listing fee. A Final Value Fee is a fee eBay charges if your item sells, and is calculated as a percentage of the total amount the customer pays for the item– including shipping costs. Final value fees are not charged when an item doesn’t sell. You should consider final value fees when pricing your products. There is no need to be intimidated by the different fees. With an eBay store fees calculator, online sellers can receive direct insights into market demand, fees, and product performance — all within a matter of minutes. If you’re wondering how to start an eBay store or if this is a relevant option for you, be sure to consider all associated fees and options. It’s essential to use an eBay fee calculator and to understand eBay limits. We hope you’ve learned a lot about how to open an eBay store. Here’s one more giant tip that can help you get well on your way. Gain accurate actionable insights into selling on eBay with Algopix’s free 7-day trial.